An individual with beta thalassaemia minor or trait has one perfectly normal beta-globin gene and only one copy of the beta thalassaemia gene ). An individual with alpha thalassaemia minor or trait has at least two normal alpha globin genes (out of the four). Persons with thalassaemia minor have (at most) mild anemia (slight lowering of the haemoglobin level in the blood). 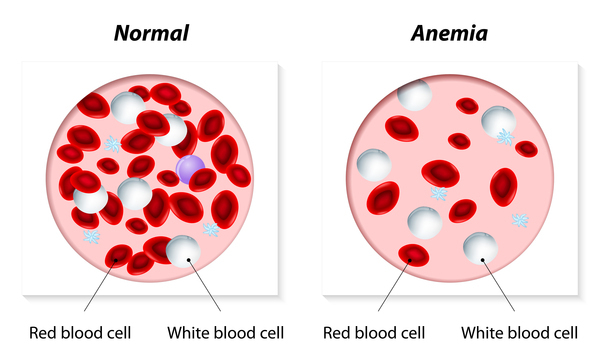 This situation can very closely resemble that with mild iron-deficiency anemia. However, persons with thalassaemia minor have a normal blood iron level (unless they are iron deficient for other reasons). No treatment is necessary for thalassaemia minor. In particular, iron is neither necessary nor advised.